One of the more underrated symbols in the illustrious lore of the Jordan Brand is that of the black cat. It began when Tinker Hatfield was designing the Jordan 13, as the iconic Nike designer told MJ that the way he moved on the court reminded him of the predatory beast. Not only have there been a number of “Black Cat” colorways throughout the history of the Jumpman, but it went on to inspire the design of the beloved Jordan 13 silhouette – with a paw-inspired outsole among other things. Now, 21 years later, that Black Cat aesthetic is back in the most prevalent way yet. Initially dubbed the Air Jordan 13 “Tinker Hatfield”, it appears that this alternate take on MJ’s 13th signature sneaker will indeed be called the Air Jordan “Black Cat”. Boasting immense similarities to the shoe that debuted in 1997, it does usher in a brand new midfoot strap, a much shorter construction, and a triangle hologram as opposed to the feline-eye shaped one we’ve grown accustomed to. While the new silhouette is indeed inspired by an original Tinker design sketch, the Jumpman is opting to tell more of a story with this newly surfaced monicker. 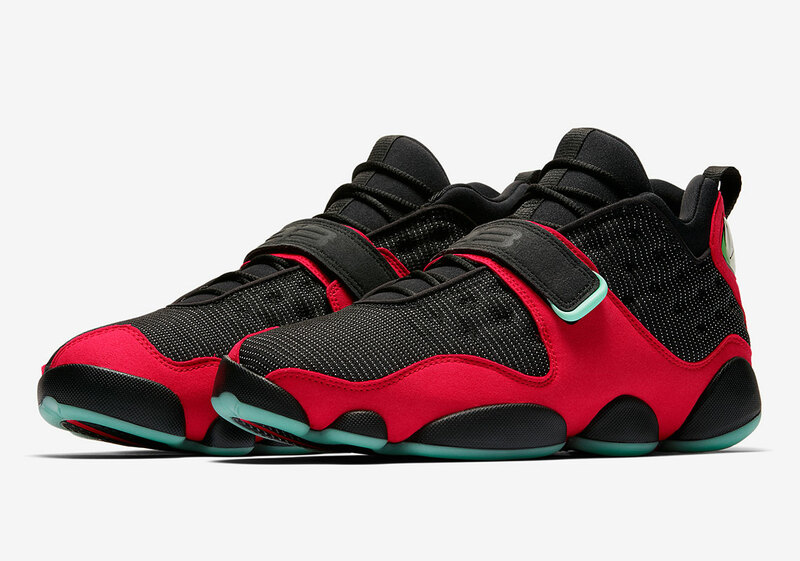 Set to debut in an introductory University Red and Black color scheme on August 2nd, you can expect to see more from the Air Jordan Black Cat as the year progresses.